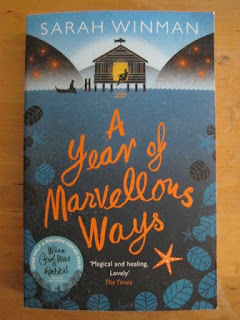 Not sleeping too well, what with all the house stress going round my head, so there has been quite a lot of middle-of-the-night reading over the last few weeks. The backlog has built so here is a brief snapshot of the books I have read, in no particular order of either reading or interest. Sarah Winman's 'A Year of Marvellous Ways' is a lovely feel-good tale of an elderly woman taking care of a traumatised soldier. Over the course of the chapters we learn their life stories and watch the quiet unfolding of their friendship. A book to remind you of the essential goodness of people. 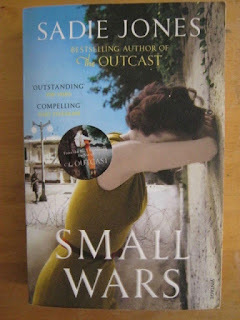 My sister Claire bought me 'Small Wars' by Sadie Jones for Christmas. It is a wonderful period piece of a novel, set in Cyprus during the 1950s. It is a bit of British history I know very little about so the story itself was interesting. I enjoyed the well created atmosphere of the time and the situation and the strong character development, both of Clara and Hal, but then was utterly let down by the ending. Hal is a major in the army, and appears to have a crisis of confidence about what is happening in Cyprus and his role in it, then an actual breakdown, and the 'cover-up' of the situation by the army was perfectly handled, but then he just kind of pulls himself together at the end and everything is fine. It lacked any credibility, and that's not even mentioning flying his wife home from Cyprus in a military plane only days after major surgery. Endings matter, so I felt let down. 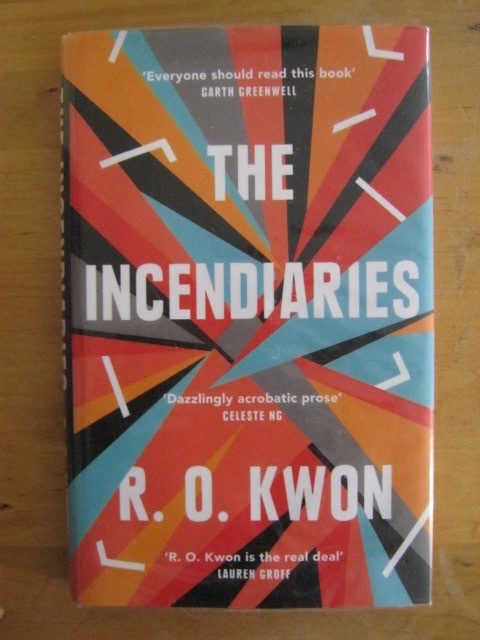 'The Incendiaries' by R.O. 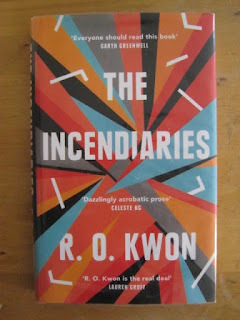 Kwon; I thought it was on the Women's fiction longlist, but I was wrong, so I'm not sure where I read about it. It is a weird story about a young woman, Phoebe, who gets sucked into a religious cult, and about the young man, Will, who is enamoured with her. 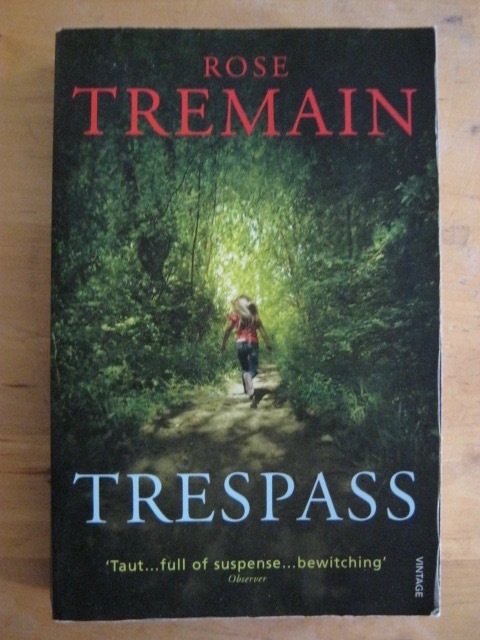 The chapters hop between their points of view, with a strange switch of style between first and third person. There are also brief chapters by John Leal who is the cult leader, they don't give you much insight into his thinking, I kept suspecting he was a fraud, if he is, he keeps up a very good front. It is more of a love story than anything else, I didn't learn much about the cult side of the story. Certainly if you are into experimental type fiction you would find it worth seeking out. "For a little while, he was able to distract himself from his feelings of collapse by imagining the Swiss couple who'd put this room together: lawyers or professors, educated people, a couple with a full address book which connected them, perhaps, to many different worlds. People on whom life had smiled. And yet they'd hung on to their souls. They weren't vulgar. They weren't afraid of silence. 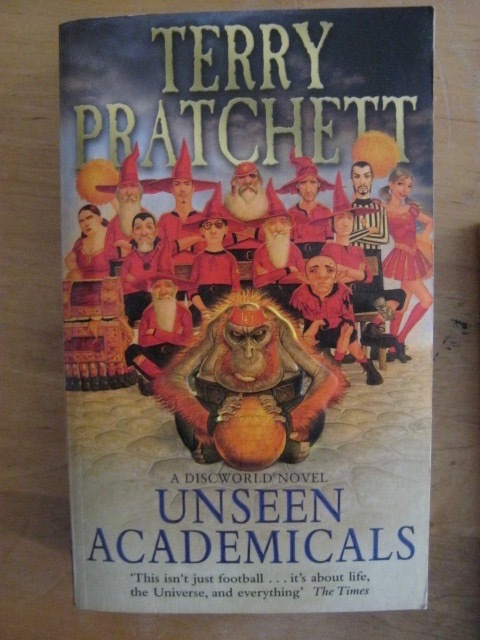 The girls and I read 'Unseen Academicals' by Terry Pratchett over a couple of weeks. Its about football, and the crazy levels of devotion that it seems to instil in people. I think I missed some bits by dozing off on the sofa, but Terry is always entertaining, without getting repetitive. His humour is strangely predictable but he always somehow puts unexpected twists on the things he chooses to mock. We don't have many evening when we are all around together at the moment so its nice to just hang out reading when we do. I just realised I had forgotten all about Foucault's Pendulum ... 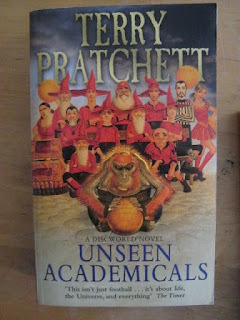 I also have a couple of other books but they deserve a bit better treatment so will get their own posts. All my energy is now focussed on getting the house bought and us moved in as quickly as possible. See you on the other side.